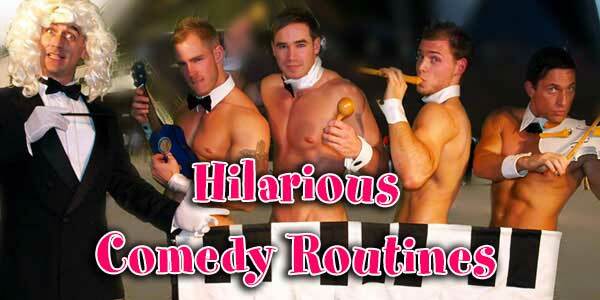 Welcome to The Adonis Cabaret, The UK’s original, largest and longest running Male Strip Show. 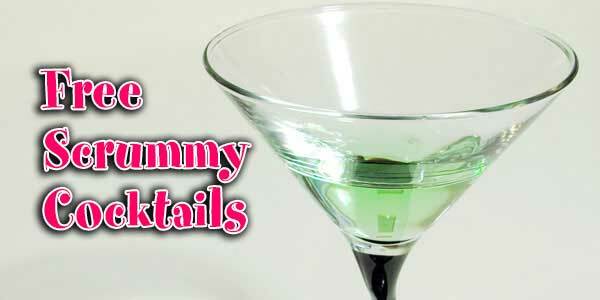 Designed with hen nights and girls nights out in mind we know how to tickle, tease and tantalise. 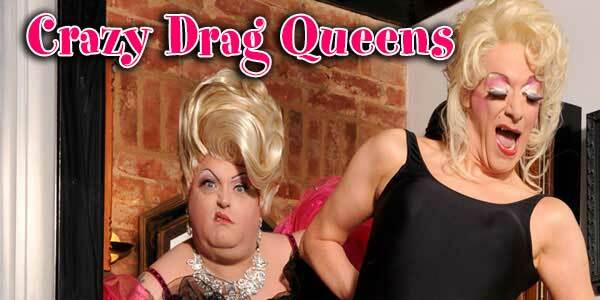 It’s an hilarious Fit and Funny Comedy Entertainment Spectacle ideal for your hen party. 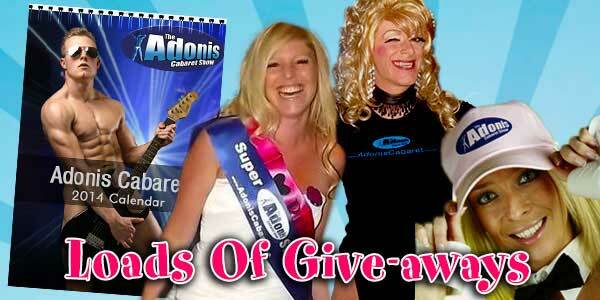 Adonis Cabaret’s Girls Night Out beats strip shows, comedy clubs and drag queens by combining all three! Not to be mistaken for your average strip show, we are a strip show & variety night with a difference to suit all tastes with the emphasis on comedy fun and hen night entertainment. The Adonis boys do have bodies and looks fit for the gods but they will have you laughing your socks off with their unique brand of inventive original comedy tease! 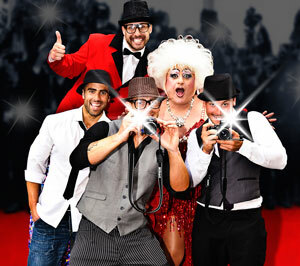 The show includes sizzling & daring musical, circus, dramatic and comedy stage acts performed by our cheeky boys and OUTRAGEOUS Drag Comperes! From the moment you arrive you are treated like celebrities, walk the roped red carpet with our very own paparazzi snapping you from every angle. It’s all tongue in cheek fun but you’ll get some great photos of you and your group to treasure forever. 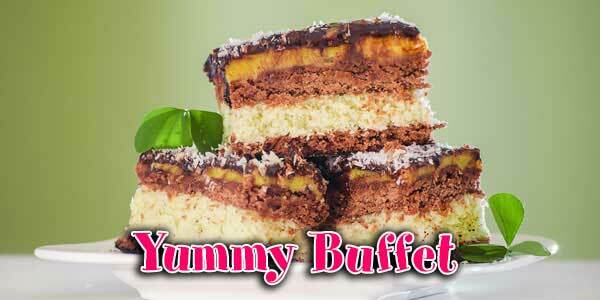 Your group is welcomed with a Cocktail and a Sumptuous Buffet whilst the venue gets ready for the evening’s main hen party entertainment. After you’ve had time to settle down the show begins – smoke slowly creeps across the floor and the lights dim, the music begins, and on comes your host – a hilarious drag queen – she will entertain you and welcome some of the country’s hottest male strip stars, feel free to scream the house down with excitement as our Men with the most incredible bodies reveal all. Whether it’s for a birthday party or hen night there is going to be that special person in the group who we are more than happy to look after, and make sure she is treated with that extra special care; for those that are willing they are welcomed on stage for some fun and frolics, we will happily ensure they walk away with some complimentary Adonis memorabilia. Fancy Dress? 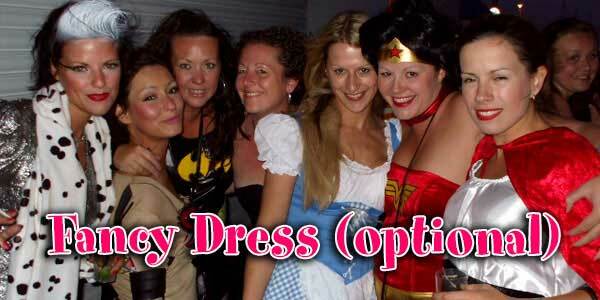 Its a big YES from us, and to any other outrageous hen party ideas. 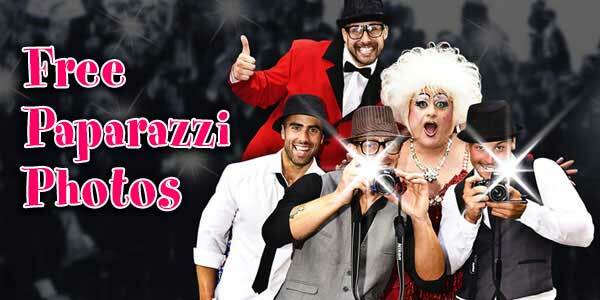 After the show, pose with the acts for professional memento photos of your hen party group and get ready to boogie the night away with top tunes and great DJs at the best club in town. 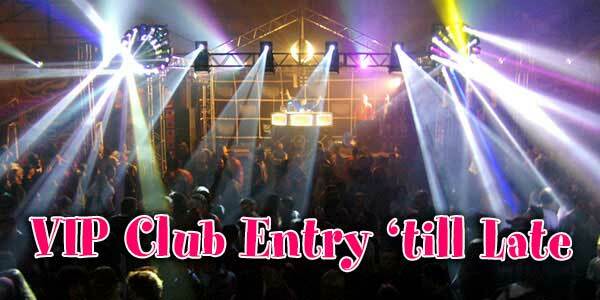 AFTER-SHOW CLUB IS INCLUDED WITH YOUR TICKET. 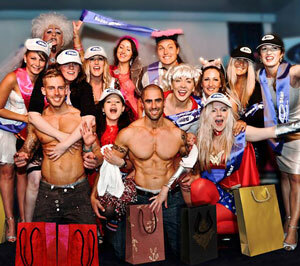 UK GIRL THING REVIEW - "ADONIS - bringing a whole new meaning to the Hen Do ‘Package’!" Take the stress out of organising your hen activities and hen weekends. Everything you need is included in our one ticket! The Adonis Girls Night Out runs throughout the UK every Saturday with a show for you in London, Leeds, Brighton, Blackpool, Bournemouth or Newcastle. If you are thinking of using a hen package provider or agent check out our trusted hen weekends partners who can provide Adonis show and accommodation/ pampering, and activities.